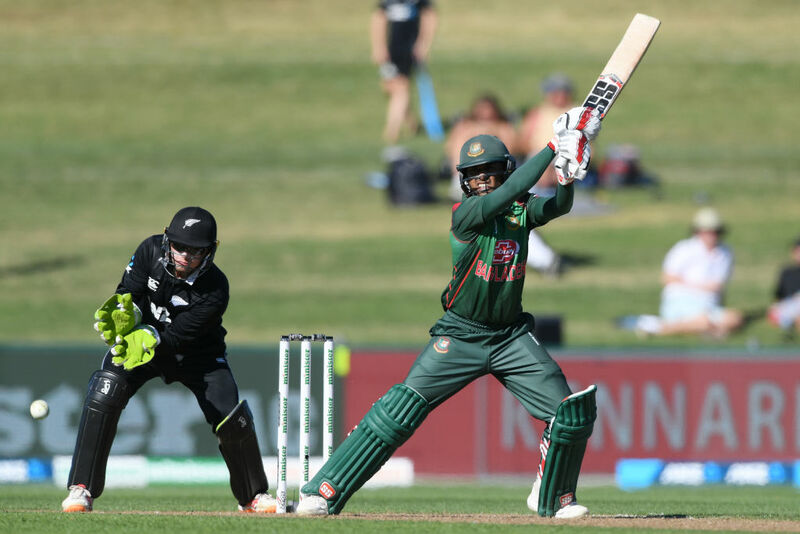 New Zealand need 233 to win the first one-day international against Bangladesh in Napier today. After winning the toss and batting, the visitors lost early wickets but rallied to be all out for 232 in the penultimate over. Mohammad Mithun top-scored with 62, while Mohammad Saifuddin made 41 and Soumya Sarker 30. The wickets were shared by the New Zealand bowlers, Trent Boult and Mitchell Santner claiming three apiece, and Matt Henry and Lockie Ferguson each grabbing two.